In Senegal, the Muridiyya, a large Islamic Sufi order, is the single most influential religious organization, including among its numbers the nation’s president. Yet little is known of this sect in the West. 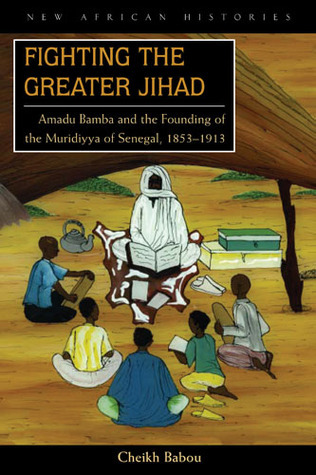 Drawn from a wide variety of archival, oral, and iconographic sources in Arabic, French, and Wolof, Fighting the Greater Jihad offers an astute analysis of the foundin In Senegal, the Muridiyya, a large Islamic Sufi order, is the single most influential religious organization, including among its numbers the nation’s president. Yet little is known of this sect in the West. Drawn from a wide variety of archival, oral, and iconographic sources in Arabic, French, and Wolof, Fighting the Greater Jihad offers an astute analysis of the founding and development of the order and a biographical study of its founder, Cheikh Amadu Bamba Mbacke. Cheikh Anta Babou explores the forging of Murid identity and pedagogy around the person and initiative of Amadu Bamba as well as the continuing reconstruction of this identity by more recent followers. He makes a compelling case for reexamining the history of Muslim institutions in Africa and elsewhere in order to appreciate believers’ motivation and initiatives, especially religious culture and education, beyond the narrow confines of political collaboration and resistance. Fighting the Greater Jihad also reveals how religious power is built at the intersection of genealogy, knowledge, and spiritual force, and how this power in turn affected colonial policy. Fighting the Greater Jihad will dramatically alter the perspective from which anthropologists, historians, and political scientists study Muslim mystical orders.